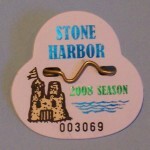 Avalon and Stone Harbor beach tags are available for pre-season order through each municipality. Tags are reciprocal between the two towns, and the cost is the same as last year- $19 if purchased prior to May 31st. This entry was posted in Activities, Avalon, New Jersey- News, Stone Harbor, New Jersey- News. Bookmark the permalink. Post a comment or leave a trackback: Trackback URL.